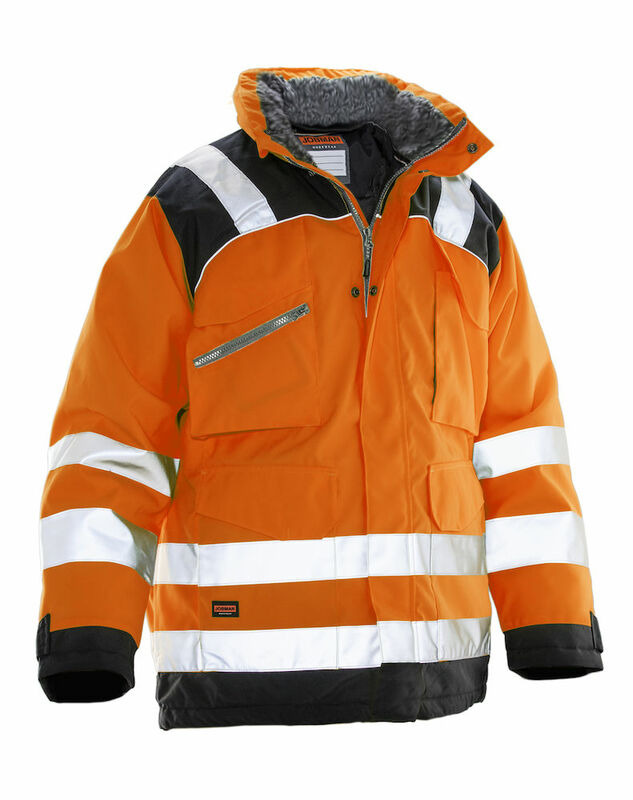 BE VISIBLE AND WARM IN INCLEMENT WEATHER! High-visibility class: 3 EN20471. Hardwearing STAR polyester winter parka. Windproof and water repellent. Foldable quilted hood in the collar. Quilt lining for flexibility and comfort. 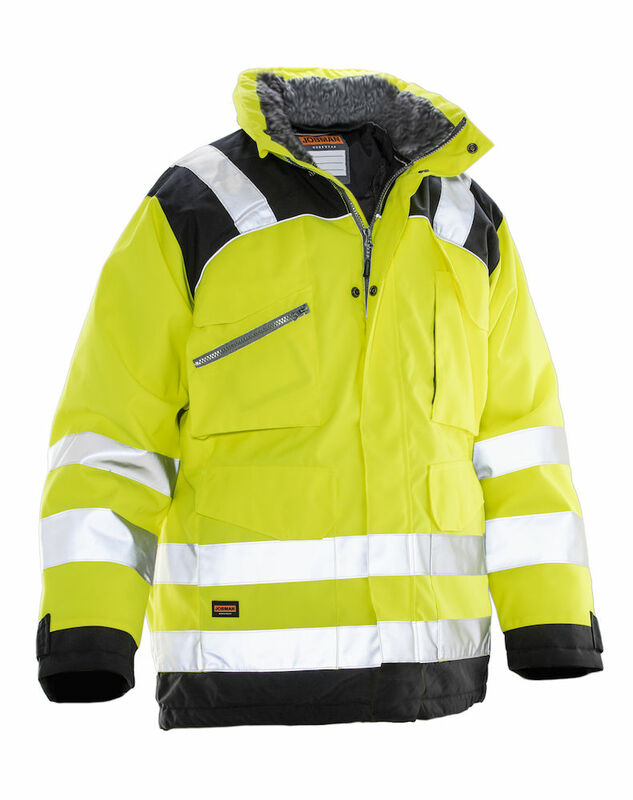 Quilt-lined lightweight parka made from durable, water repellent 100% STAR polyester. Concealed quilted hood in the collar. Inside of collar is lined with soft fleece-fur lining. Chest pockets with ID card pouch. Inside pockets with zipper and phone pocket. Large front pockets. Adjustable waist, hem and comfortable cuff. Reinforced with polyamide.